Everything is made to order so please allow just a little more time so we get it just right. Fresh to order tortilla chips, fried and lightly seasoned with a great crispy crunch. Perfect snack for munching. Served with Picante Salsa. 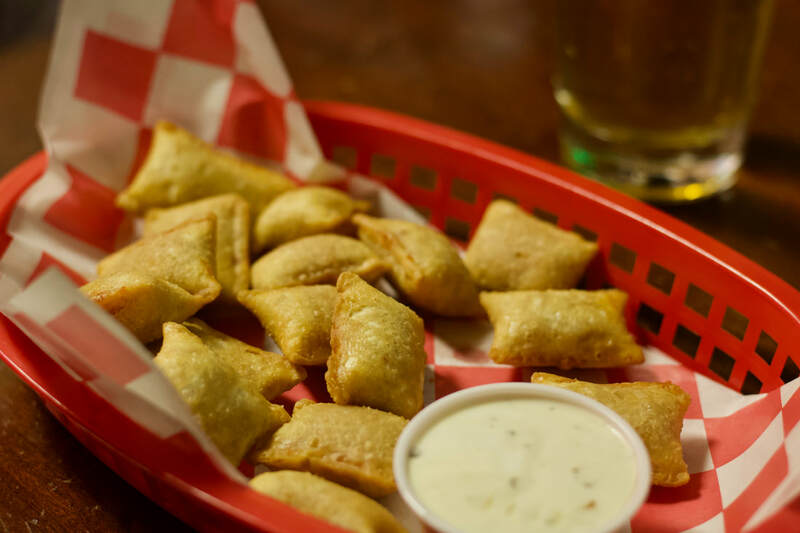 15 tasty little deep fried pepperoni pizza bites with a side of ranch . Stuffed with Chicken, Bleu Cheese, Cream Cheese, Celery and Jalapenos. Side of Ranch for dipping. 4 BIG and Meaty cut Russet Potato Skins. 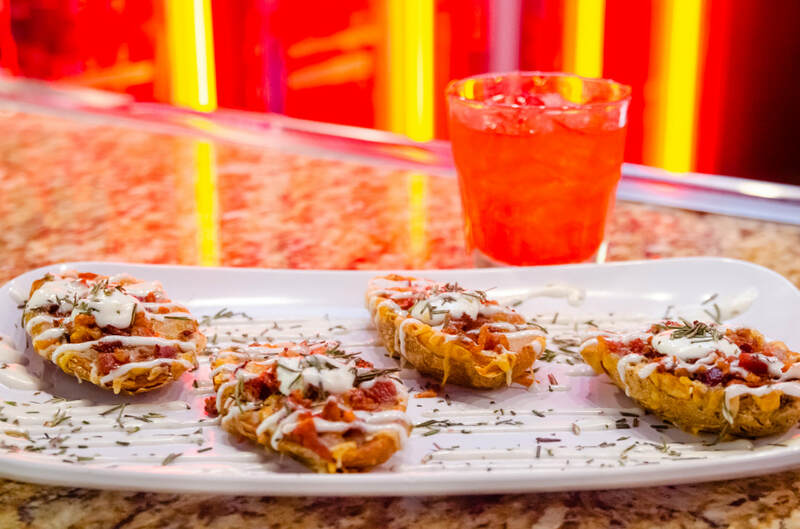 Flash fried and then baked while loaded with three cheeses, crispy bacon, and topped off with fresh rosemary. Drizzled with ranch. A nice crispy egg roll with a South Western flare. Chicken, corn, beans and more goodness make this a new favorite! 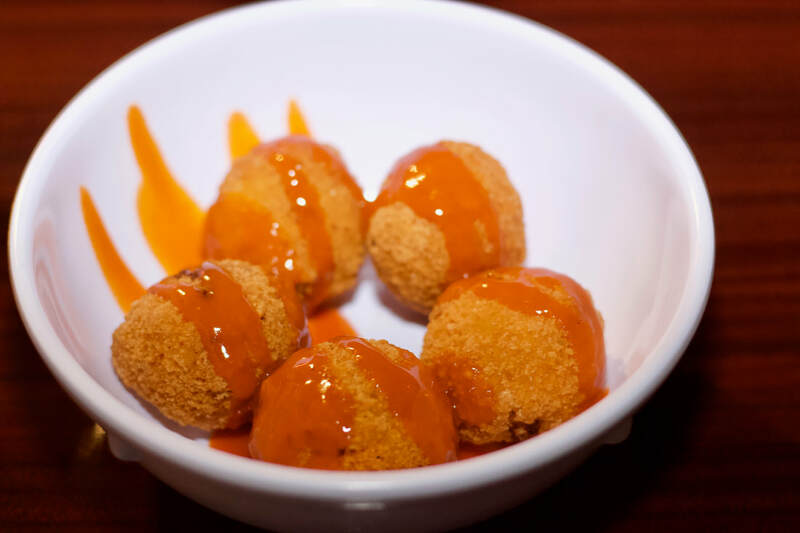 Served with Jalapeno Ranch. NICE! Hand made fresh daily! 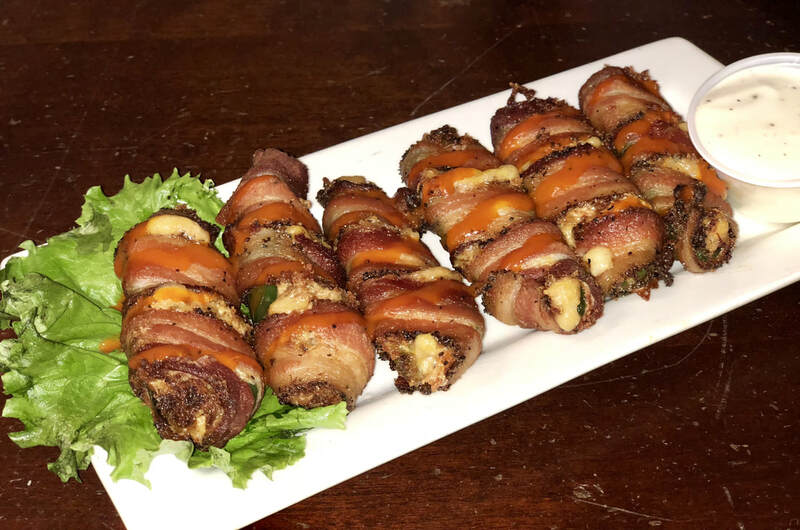 4 or 6 Fresh Giant Jalapenos halves stuffed with chicken, mixed cheeses, then wrapped in bacon and fried. Lightly drizzled with Buffalo Sauce and Ranch dressing. If you like your fries cut just right, so they are long, with just a bit of a bit of skin on, then these are for you. No shoestrings here. 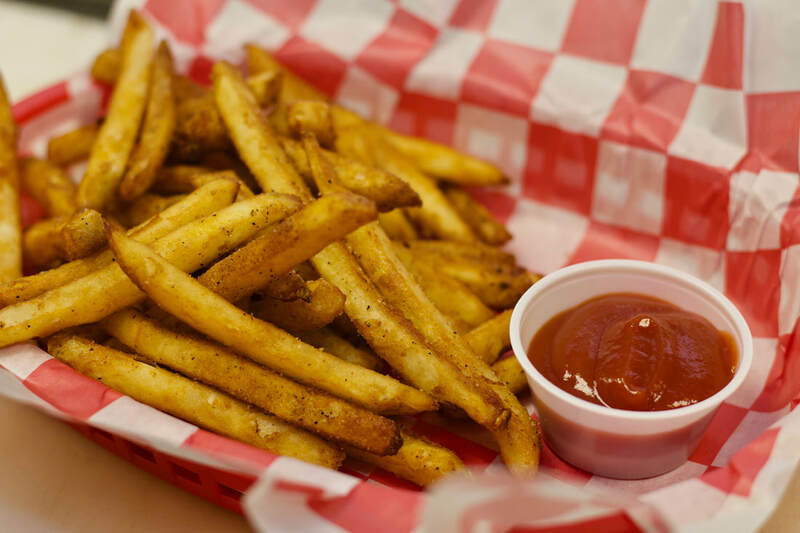 Just nicely cut, crispy, seasoned fry. Served with Ranch dressing. 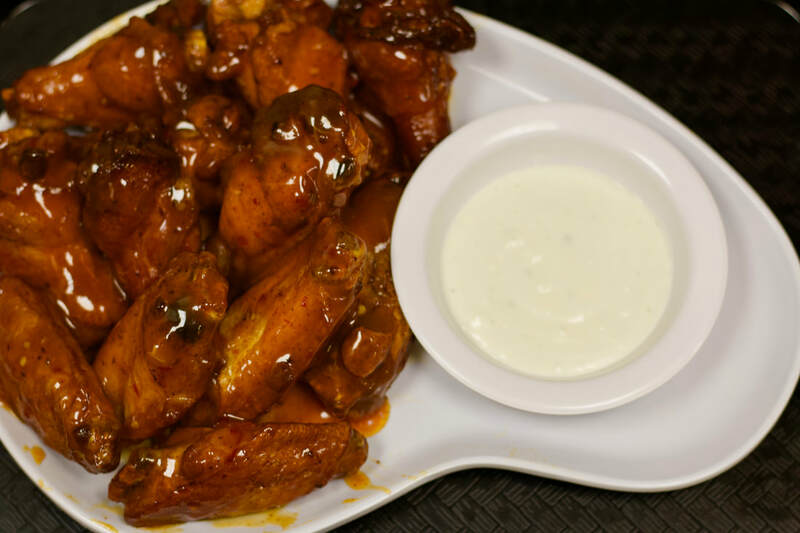 8oz of breaded boneless chicken meat tossed in your choice of sauce and served with a side of Ranch or Bleu Cheese. 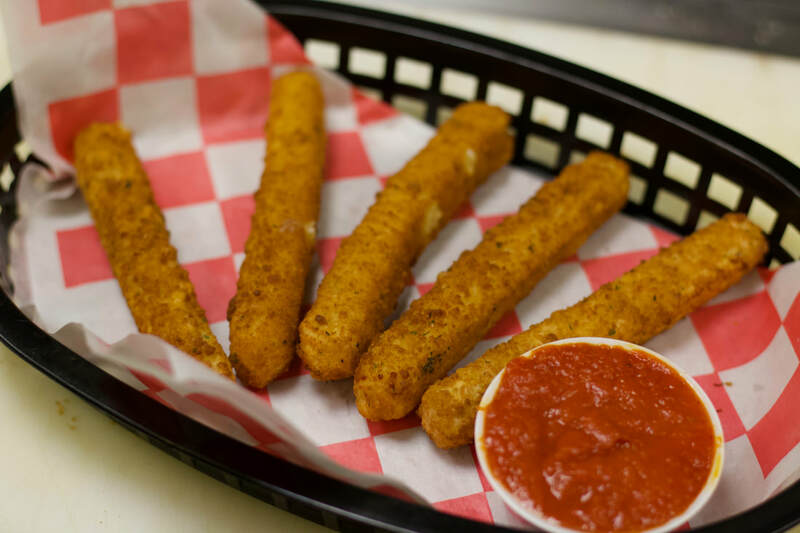 Breaded chicken tenders deep fried. Dip these beauties into some Ranch! 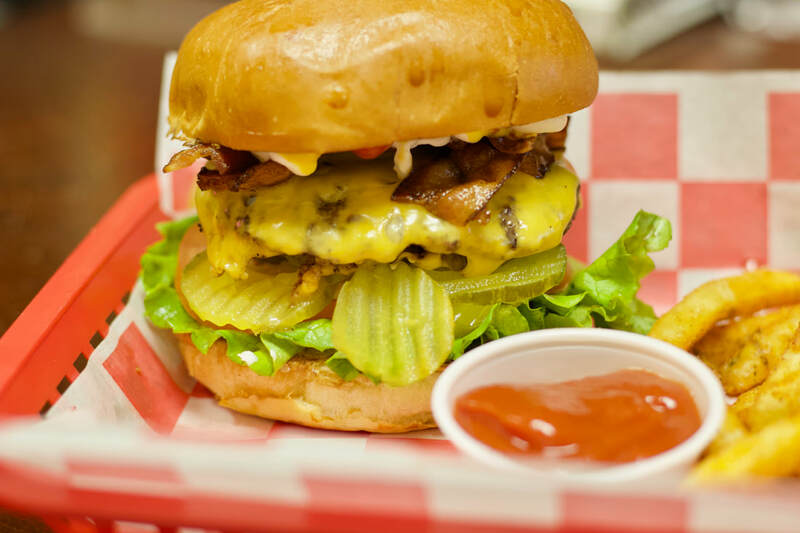 Comes with a side of fries or tater tots Yee HAW! Dee Licious! Mozzarella, Monterey Jack Cheeses, and Pico de Gallo. Served with a side of Sour Cream and Salsa. 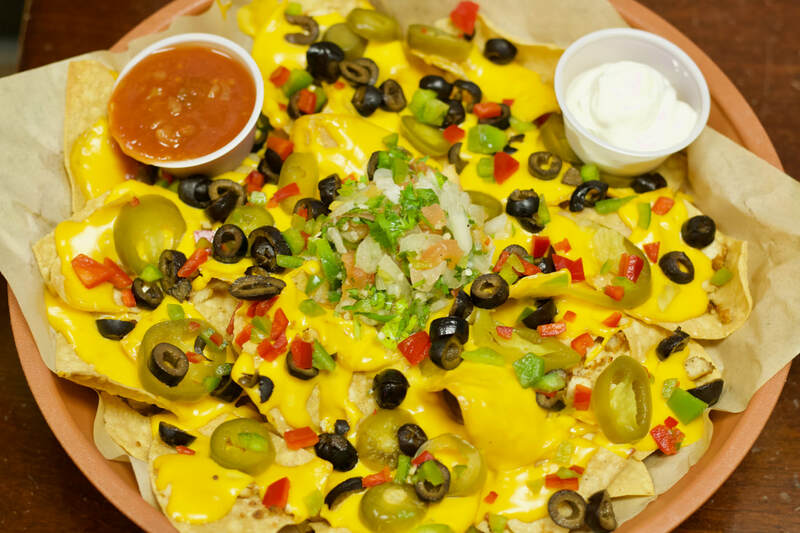 Fresh fried tortilla chips with all the toppings, Warm Nacho cheese, Black Olives, Jalapeno Peppers, topped off with Pico de Gallo. Served with Sour Cream and Salsa..
2 Chicken Tender Strips, 2 slices of bacon, 2 slices of cheese, and BBQ sauce. All aboard 2 slices of buttery grilled Texas Toast! Choice of Fries or Tots. 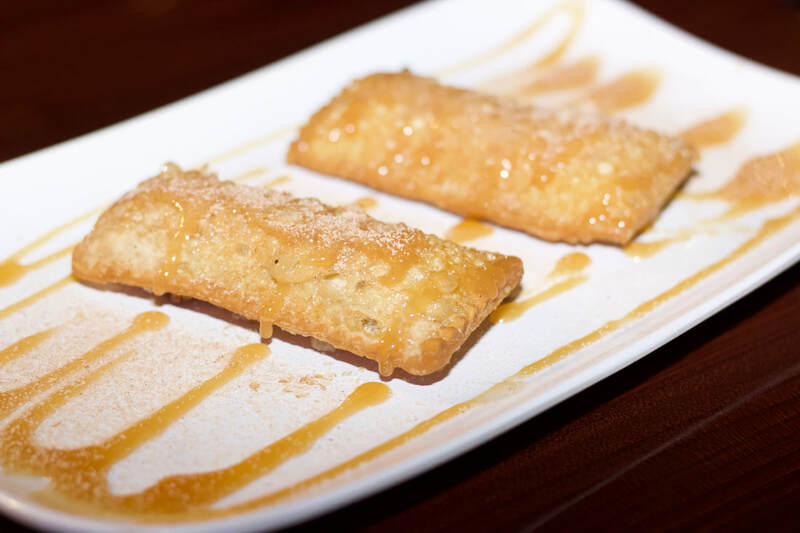 Two deep fried apple pie pockets drizzled in caramel . These guys come out hot so make sure to let them sit for a few minutes to cool off. In other words... DON'T BURN YOUR MOUTH!